Seven individuals, one regional emergency medical services agency and the local-government administration in Rockbridge County received awards from the Central Shenandoah Regional EMS Council at an awards ceremony held on Wednesday at the Grand Caverns Park in Augusta County. 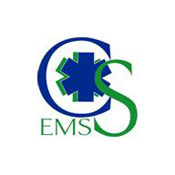 “The award winners and all of the nominees for each category are outstanding representatives of our regional EMS system,” said CSEMSC President Gary Critzer. · Award for Excellence in EMS – Dr. Asher Brand, Regional Operational Medical Director. · CSEMS Senior Squad Member Award – Gary Moyers, Waynesboro First Aid Crew, City of Waynesboro. · Outstanding EMS Telecommunications Officer/Dispatcher – Steve Reese, Rockbridge Emergency Communications Center. · Outstanding EMS Pre-Hospital Provider – Susan Sweet, Waynesboro First Aid Crew, City of Waynesboro. · Outstanding EMS Pre-Hospital Educator – Hunter Shomo, Staunton-Augusta Rescue Squad, City of Staunton. · Outstanding Contribution to EMS by a Nurse – Brandy Hostetter, Carilion Stonewall Jackson Hospital, Lexington. · Outstanding EMS Administrator –Steve Higgins, Harrisonburg Rescue Squad, City of Harrisonburg. · Outstanding EMS Agency – Augusta County Fire and Rescue. · Outstanding Contribution to EMS – Rockbridge County Administration. · CSEMS Kevin Sperka Award (Junior Member Award) – Logan Parker, Stuarts Draft Rescue Squad, Augusta County. · CSEMS High School Senior Scholarship ($1,000) – Logan Parker, Stuarts Draft Rescue Squad, Augusta County. The award winners’ nominations have been submitted to the Virginia EMS Advisory Board to compete at the state level in the Governor’s EMS Awards. The winners will be announced on Nov. 13 in Norfolk at the Annual Virginia EMS Symposium, Critzer said. The Central Shenandoah EMS Council serves the counties of Augusta, Bath, Highland, Rockbridge, Rockingham, and the cities of Buena Vista, Harrisonburg, Lexington, Staunton and Waynesboro. The regional EMS council is an integral part of Virginia’s comprehensive EMS system. It serves to assess, identify, coordinate, plan and implement an efficient and effective regional EMS delivery system in partnership with the Virginia Office of Emergency Medical Services and the Governor’s EMS Advisory Board.